I booked this trip with a male friend, who then become more than a friend. By the time we went to Vietnam, we were back to being just friends and I hoped it would go smoothly. Note to self, don’t do that again. We flew the cheapest possible option – Tiger Air. Melbourne to Perth then on to Ho Chi Minh City with an overnight flight. I was in the window seat and woke-up partway through the flight feeling overly hot and trapped. I escaped to the toilet and managed to faint in the tiny space. As you can imagine, I awoke folded like a concertina on the floor. I must have hit my cheek, arm and thigh on the way down, as I eventually got spectacular bruises. The cheek bruise slowly became a mild black eye, and looked like my travel buddy was abusive! Not a great first impression. I decided to make use of the toilet… since I was there, and fainted again. Eventually I escaped the toliet and told the staff what had happened and asked if I could sit down in the cool area by the emergency exit. This really helped revive me. A budget airline doesn’t give out free food and drink, but I must have looked terrible as the staff gave me a hot chocolate and snack. I ended up sitting on the ground until we were close to landing. My travel buddy never checked on me. We finally landed and escaped the plane. 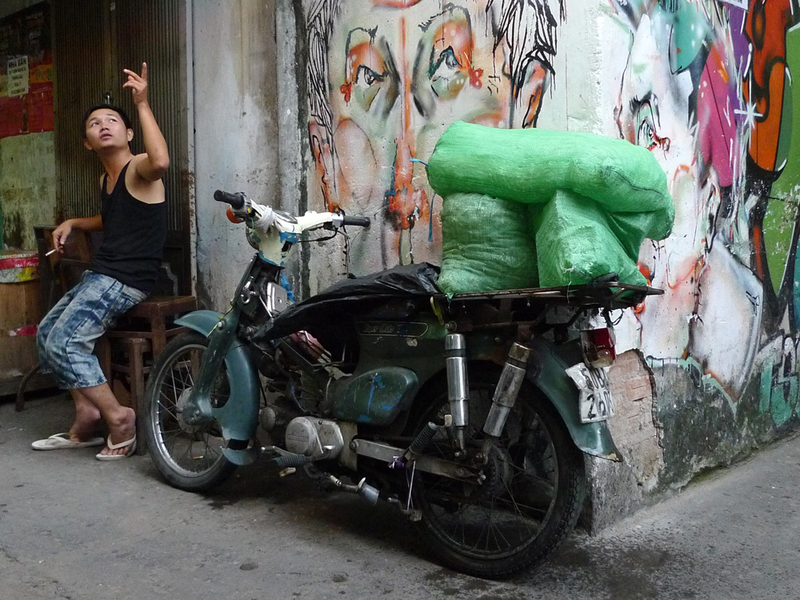 After finding our accommodation and refreshing, we set off to explore the chaotic, exotic city. No way was I missing out on seeing the sights! I thought I had a cast iron stomach. It had survived Egypt, Kuala Lumpur and Morocco with no problems. Then we ate at a local restaurant and I learnt how wrong I was. My travel buddy and I were sharing a room with twin beds to save money. We really got to know each other in a completely different way… The walls were thin. After a couple of days with no change, I found a pharmacist and used hand gestures to explain the problem. I was their entertainment for the day – they had a great laugh! We’d looked up the names of the antibiotics needed and I finally had some luck as the pharmacist had one. Feeling better, I thought I’d treat myself to a local hot rocks massage. The hotel staff were the friendliest I’ve come across. 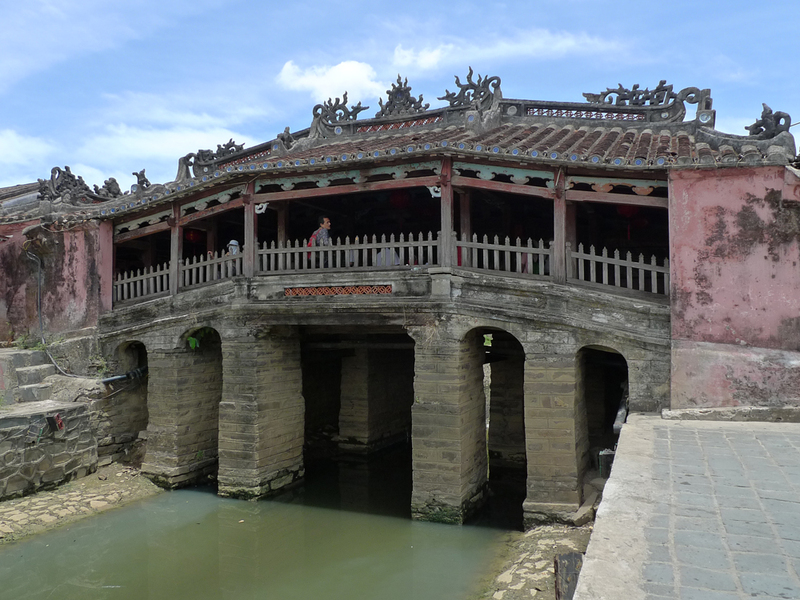 Incase you’re planning to visit – Hai Au hotel in Hoi An is worth a look. I mentioned wanting a massage and they recommended a place across town and arranged transport. This turned out to be on a motorcycle driven by a dainty female. I wasn’t about to become that awkward tourist, so I straddled the bike and off we went! Anyone who’s been to Asia will know how chaotic some of the roads can be. It was certainly a thrilling ride. The trouble came getting off, where the exhaust ended up resting on my leg before I felt the delayed pain. I ended up having a hot rocks massage with a lump of ice tied to my burnt leg. Not the restful massage I was hoping for. 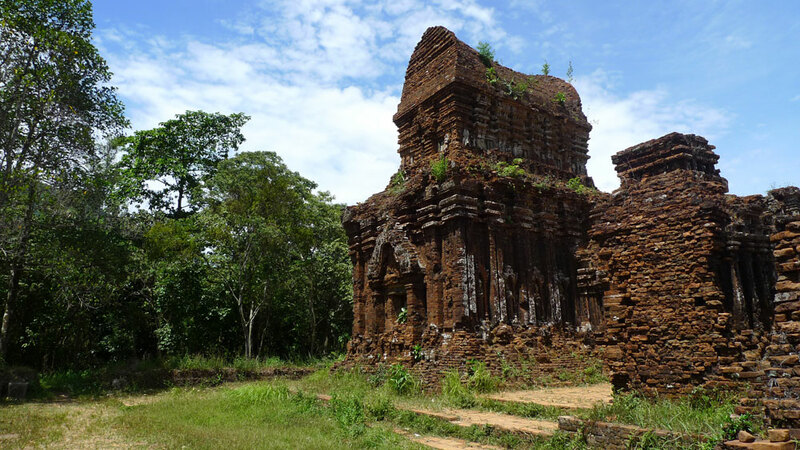 Vietnam is a beautiful and friendly country. I only had time to see the southern area and am keen to see the north one-day – hopefully with less drama. 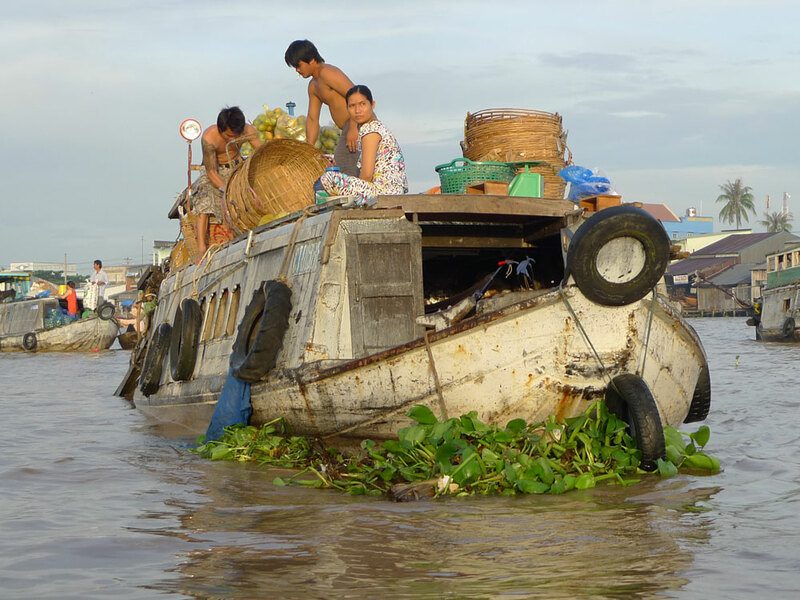 Mekong Delta morning markets tour. We took a public bus to Can Tho City and stumbled upon a guy selling morning market tours. It was well worth the 5.30am start with just us, an English tour guide and driver in a small boat. We passed homes on stilts over the water. The markets are boats full of fruit and vegetables. After trying a juicy pineapple we carried on done narrow river ways and explored a farm with exotic fruit I’d never tasted before and ate a simple but delicious lunch. Hoi An tailors. We ended up spending a lot of time at Hoi An and I had shoes, jacket and a dress made. My tip; clothes are made a little larger – give yourself time for them to be fitted. I had a jacket made from a photo I bought with me and got to pick the fabric, lining and buttons. Great fun and I’m still wearing them. 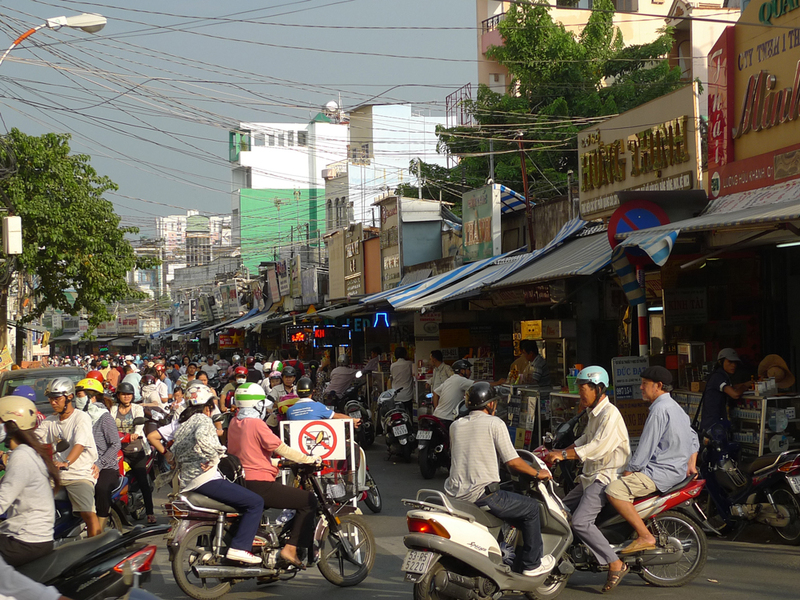 Ho Chi Minh City’s other market. There’s the market all the tourists go to, then there’s a market right behind it, with clothes made for the big western brands. What have you learnt from your trips? Have you experienced any dramas?